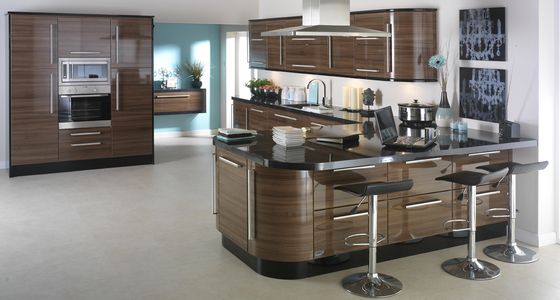 This range is supplied by 3D Solutions and is a Vinyl Wrapped Kitchen Door. This range is supplied by 3D Solutions and is a Vinyl Wrapped Kitchen Door in Super Matt. This range is supplied by 3D Solutions and is a Laser Edged Door. 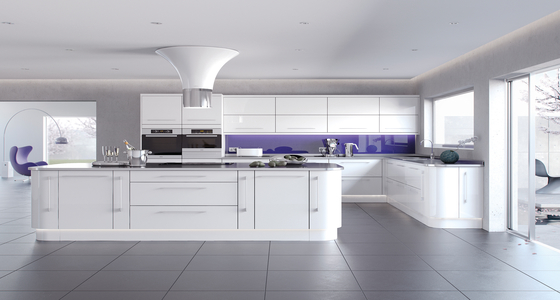 This range is supplied by Burbidge and is a sleek design and superb high gloss finish gives luxurious sparkle and style to your kitchen. Clean sharp lines and a flawless matt painted finish is the epitome of cool urban living. This door style is available in two standard finishes Light Grey and Porcelain as well as the painted palette or a bespoke shade, contact the sales office for further information. 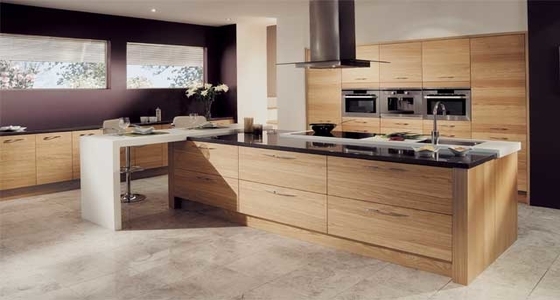 This range is supplied by AMFI and comprises of our textured woodgrain door components. It is the prudent choice for creating a beautiful living space without breaking the bank. You'll find everything you need to create a beautiful living space within any budget. 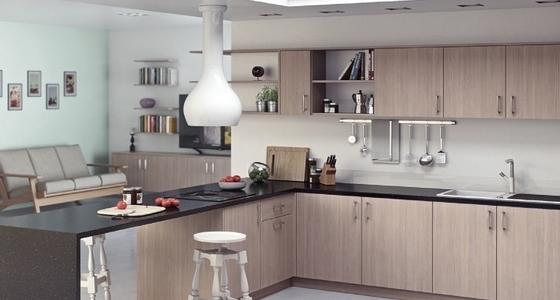 This range is supplied by Kitchen Stori and it's true beauty lies in its simplicity. This elementary slab design is given fresh new life with added curves and daring horizontal grain. Shown here stained Hacienda Black mixed with a painted Light Grey finish, it makes the quintessential contemporary style statement. 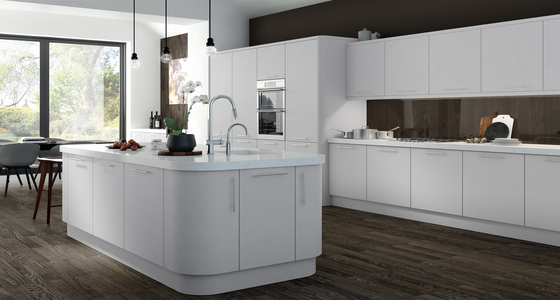 This range is supplied by Kitchen Stori and is a stunning slab gloss door which offers a flawless, mirror-like finish, the Zola range also features frosted glass frame doors to add that extra touch of contemporary chic. 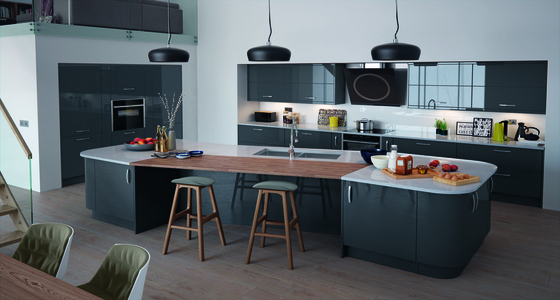 This range is also available in matte in four gorgeous colours, Its strikingly simple design coupled with its super smooth finish makes Zola matte the perfect choice for those wishing to achieve that high end designer look. 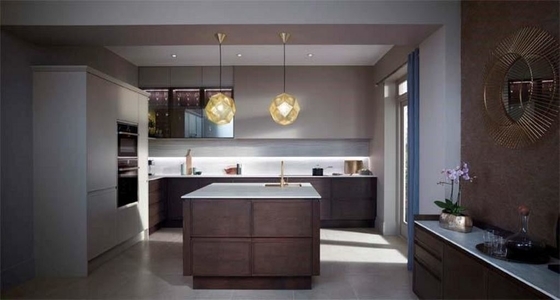 This range is supplied by Second Nature with a 20mm solid ash frame with veneered centre panel and the Rye in solid oak frame with veneered centre panel. Lichfield takes the popular J Pull design and adds an intricate framed detail to give a traditional shaker a very modern edge. 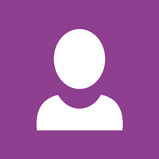 This range is supplied by Second Nature. A pure slab door for an ultra-modern look, Porter is available in both matt and high gloss finishes in a range of contemporary colours. 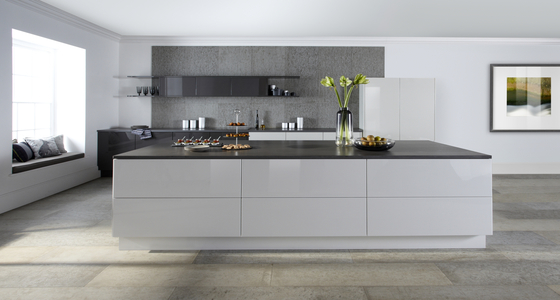 To accentuate the linear look, full handleless designs can be achieved. Door is 18mm slab MDF with melamine reverse. 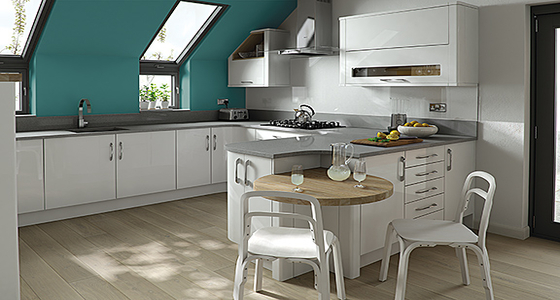 This range is supplied by TKC and is Simple and stylish, Lusso is perfect for any setting, from ultra modern to classic. 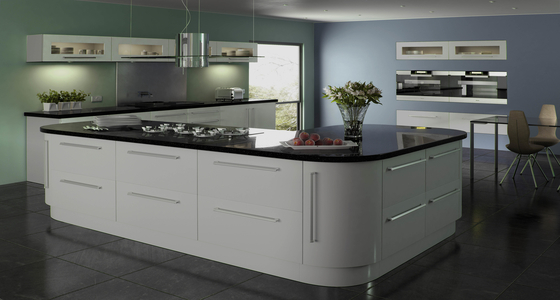 The addition of curved doors brings with it a softer aesthetic, creating a welcoming feel to the kitchen. 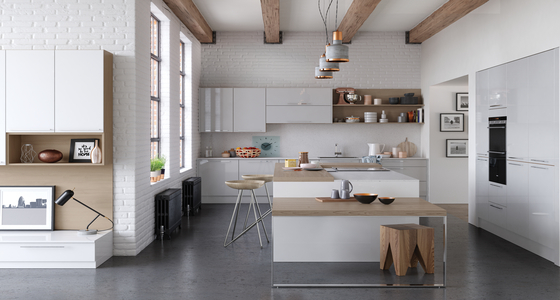 This range is supplied by TKC and whether you want Contemporary or classic: the Vivo door has a clean, timeless design which can be used to create any desired kitchen aesthetic. 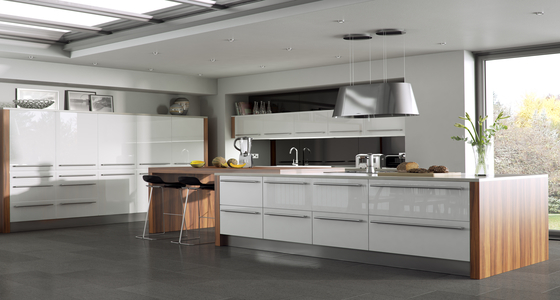 The use of pan drawers and curved doors provides a soft yet exclusive and streamlined look.